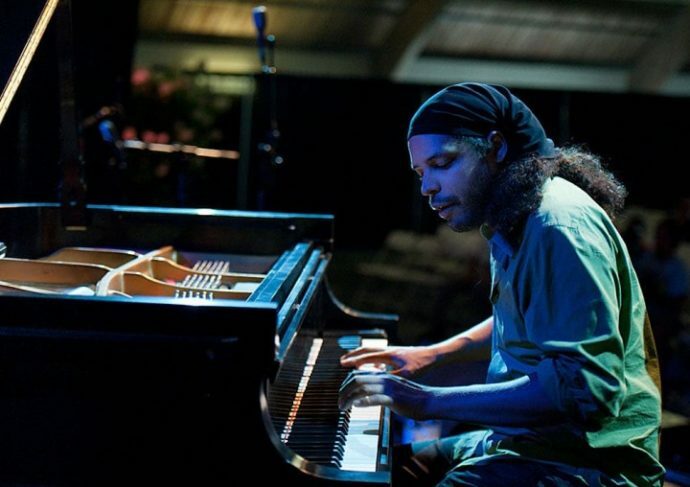 After graduating from New England Conservatory in 2005, ZACCAI CURTIS moved to New York City where he performs regularly with artists such as Donald Harrison, Cindy Blackman Santana, Eddie Palmieri, Christian Scott, Ralph Peterson, T.K. Blue, Brian Lynch, Ray Vega, and Eric Person amongst others. Curtis composes and arranges for his quartet, trio, Big-Band and more. In 2003 he was chosen as a winner of the ASCAP Young Jazz Composer’s competition and each year consecutively through 2006. Zaccai and his quartet were selected by the U.S. State Department to be in the American Music Abroad (Jazz Ambassadors) program two times in 2006. They performed in Bangladesh, Calcutta, Bangalore, Mumbai, Sri Lanka and the Maldives. In 2007 Zaccai Curtis was awarded the ‘Connecticut Commission on Culture and Tourism’s Artist Fellowship’ for ‘original composition.’ In 2017 Curtis became a Chamber Music America: “New Jazz Works” grant recipient. Zaccai, along with his brothers Luques, has developed a recording collective (TRRcollective) of musicians that produce music on their terms. He is proud to have been a producer for the GRAMMY-nominated album (Entre Colegas 2016) released on the label (Truth Revolution Records/TRRcollective). This year, Zaccai created the first ever music news app developed for a record label: ‘The Riff: Music News‘ available on iTunes and Android.